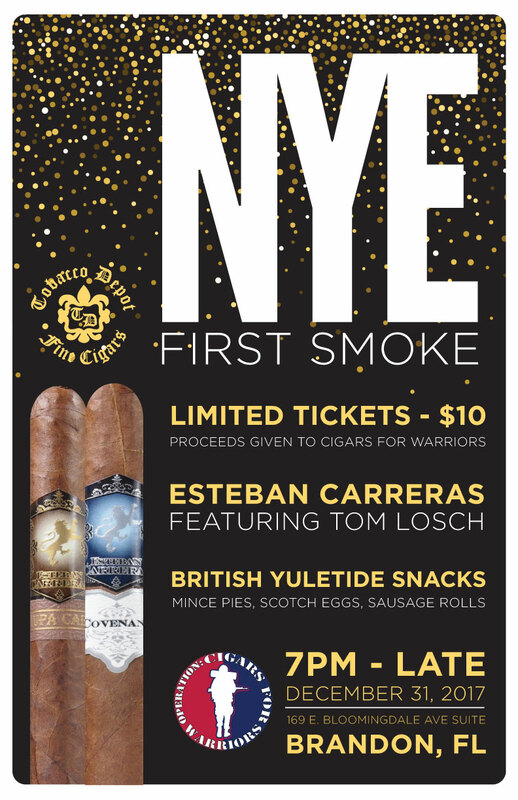 Break in 2018 with an Esteban Carreras Cigar Night in Brandon, Florida! 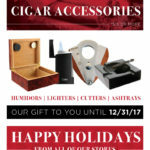 We’ll have Yuletide Snacks, and plenty of cigars. The event starts at 7PM on New Year’s Eve, and only a limited number of tickets are available. Proceeds from admissions will be given to Cigars For Warriors.